Keith Pritchett in New Zealand. 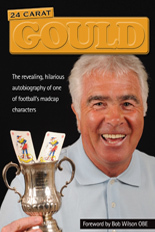 Not a single former Wolves player has ever become manager of England or Scotland, although we can look back to Bobby Gould as a Wales gaffer and Dave Clements at Northern Ireland. Yet we can boast two that took the reins for The All Whites, alternatively known as New Zealand’s best. Ricki Herbert was one of the better elements of a Wolves side at a pretty low ebb in the eighties. Keith Pritchett never quite broke through into an altogether better Wolves team, yet the full-back can look back on a pretty prestigious career that included becoming Elton John’s first signing at Watford as well as coach of the Kiwi internationals. Born and raised in Glasgow, Keith followed Rangers but preferred playing. His Victoria Drive school team won the Glasgow Cup and were runners-up in the Scottish Shield at under-15 level. 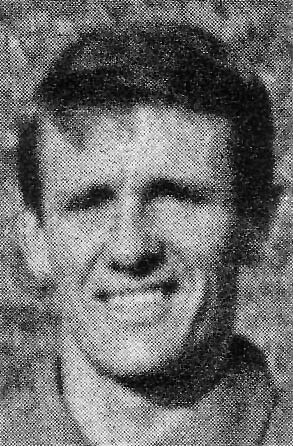 He was chosen for Glasgow schoolboys at the 13, 14 and 15-year-old levels, then played for Drumchapel Amateurs from the age of 13 for three years and trained with his beloved Rangers. “Hibs, Hearts and Kilmarnock were all keen on me but when I played for Scotland Under-18s against England, it was Wolves who invited me for a trial,” he said. “I was there for a month with two other players from the Scottish squad. I went back to Glasgow and played another international against Wales, then Wolves offered me another month’s trial. I was offered a contract part-way through the second month. “Other young players at Molineux at the time included Barry Powell, Geoff Palmer and John Rutter. 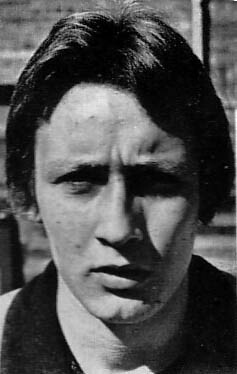 A year older and on the fringe of the first team were Steve Daley, Alan Sunderland and Peter Eastoe. “I made good friends with Geoff Palmer and the Irish lad Sammy Wright. Initially, I stayed in digs with Reg Cutler in Penn but then moved with Sammy to digs at the back of the racecourse. “I started in the youth team who played midweek and the first game was at Leicester. We won 2-0. The second game was at Birmingham and a young Trevor Francis was directly against me on the right wing. Welcome to professional football! “Trevor was already in the first team at Blues and, boy, did I get a baptism trying to contain him! At least it gave me an early indication of where I was at. “There was a huge squad at Wolves – a staff of 53 including 15 apprentices. Although I was a first-year professional, I was given apprentice duties until the end of the season. “Sammy Chung was an early influence. Even though he was the first-team coach, he had time for the younger players. Bill McGarry was very much in charge and he made sure the younger players knew their place. 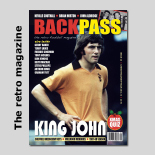 “I was on away dressing-room duty the Monday night that Leeds visited Molineux in 1972 for that final Division One game after winning the FA Cup on the Saturday. They had asked for a Wednesday kick-off to give them a reasonable rest as they were chasing the double. The FA in their wisdom said no as the season needed to finish. Menial tasks aside, the young Keith Pritchett was shaping up pretty well on the field. Gordon Eddlestone - valuable guiding light. “Norman Bodell and Gordon Eddlestone were my coaches with the A team and the reserves and they taught me a lot. I was getting some games in the second team and playing against the likes of Manchester United with Denis Law in their team and Leeds with Jackie Charlton. “I vividly remember going to Liverpool on a Tuesday night when they had already won the Central League and were to be presented the trophy. A crowd of 8,000 turned up, we lost and Bill Shankly accepted the trophy and paraded it to the crowd as if it was the FA Cup. “The closest I came to the first team was on a pre-season tour to Sweden. I was the third-choice left-back at the time behind Derek Parkin. What a player! His reserve got injured prior to the trip and I got a late phone call to tell me I was in. It was not to be with Wolves and in July, 1973, he signed for Doncaster, having met his Tettenhall born-and-bred sweetheart Barbara and married her at St Michaels Church. “My time at Doncaster was less than memorable. I was on a three-month trial and, to cut a long story short, I was told part-way through that I was signing. And then in the last week, the manager Maurice Setters told me the deal was off and no contract was offered. Next stop was a trial at Queens Park Rangers, where the offer of a two-year deal materialised in March, 1974. “It’s incredible when you think that a Fourth Division team did not want me but a Division One team saw something in me. Gordon Jago was the manager and I was to be in the first-team squad for two seasons when Rangers had their best run at the top level. “Dave Sexton came in for the 1974-75 season and he was fantastic. I managed some games towards the end of that season and coincidently played my third game for QPR against Wolves. We won. In July, 1976, Pritchett made a short hop to sign for Brentford thanks to a link with his recent past. “John Docherty, who had been a youth coach at Loftus Road, signed me but, after ten games, he was sacked,” he added. “In came Bill Dodgin. He decided I was not for him at left-back and I played on the wing for a couple of games. “One Monday morning, he came to me and said I was playing in the reserves on Tuesday and Watford were keen to sign me. He made it clear he wouldn’t stand in my way. “At least he was up front about it. I played and, by the following Friday, I had signed at Watford. I think the fee was ₤10,000. “Mike Keen signed me and I began to feel I was the kiss of death for managers because he was sacked at the end of 1976-77 and Graham Taylor took over. “I had worked with some very good managers and coaches but Graham was good for me. It is legendary what he did for Watford and I was enjoying my football like never before. “Players were very clear where they stood with him and, although you might not always agree with him, you followed him because the club were going places. “I know Wolves fans feel the same about him. We went from Division Four to Division One in six seasons. On the way, we had great cup games against higher opposition and our wins at Old Trafford and against Newcastle and Stoke were fantastic. “I was not always a favourite but stuck it out and regained my place on a couple of occasions. The highlight, apart from being selected in the Professional Footballers Association team of the year in 1978, was our promotion to Division One in 1982. Next it was to the seaside and recruitment by an old Watford colleague, Sam Ellis. “It was not a great decision of mine to join Blackpool, although I enjoyed my time at Bloomfield Road and the family settled very quickly. “I was there for two seasons and left on a free transfer. These were the days before agents, so you represented yourself. I went down to Swindon and shook hands on a one-year deal that suited both parties. New Zealand beckoned for a player who was already well travelled. “I asked an uncle to gauge interest among clubs in the Auckland area. I had remembered a trip there with Watford in 1982 where we played the national team three times in their preparation for the World Cup in Spain. “I flew out to play and coach with a two-year work permit and residency guaranteed if we liked it. Twenty-five years later, it is safe to say we like it! “Over the years, I coached and played in the national league, winning four titles and two cups. Nationally, I was assistant coach and head coach to age-group and senior All Whites squads. 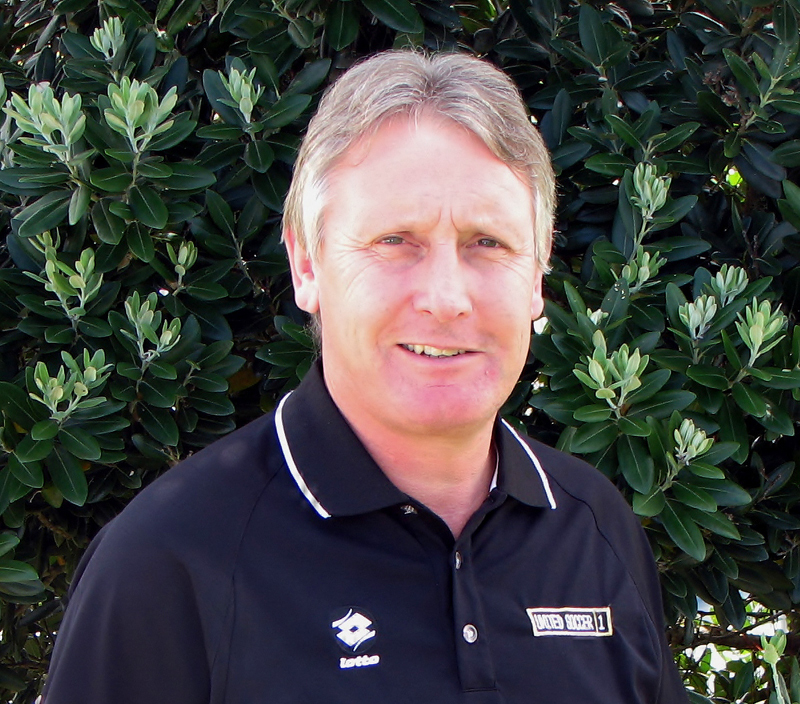 I have just finished a ten-year stint as Director of Football for one of the seven Federations in NZ football. “Barbara and I have been married for 35 years and we have three children and three beautiful grandchildren. All our kids were born in Watford and all live close to us. The youngest, James, plays for the top side in New Zealand and has ten international caps. Our eldest daughter is a happy mum with three children and my younger daughter is a journalist working for the National TV network. “There is a fair Wolves connection here through Darren Bazeley, Neil Emblen and Ricki Herbert. In November, 2009, I returned to England with Darren, who I employed as an area coach, and we took three players over for a trial at Aston Villa. 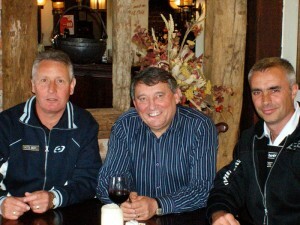 Keith (left) with Graham Taylor and Darren Bazeley. “On that trip, we took in several games and watched Wolves at Watford and the home game against Swansea. 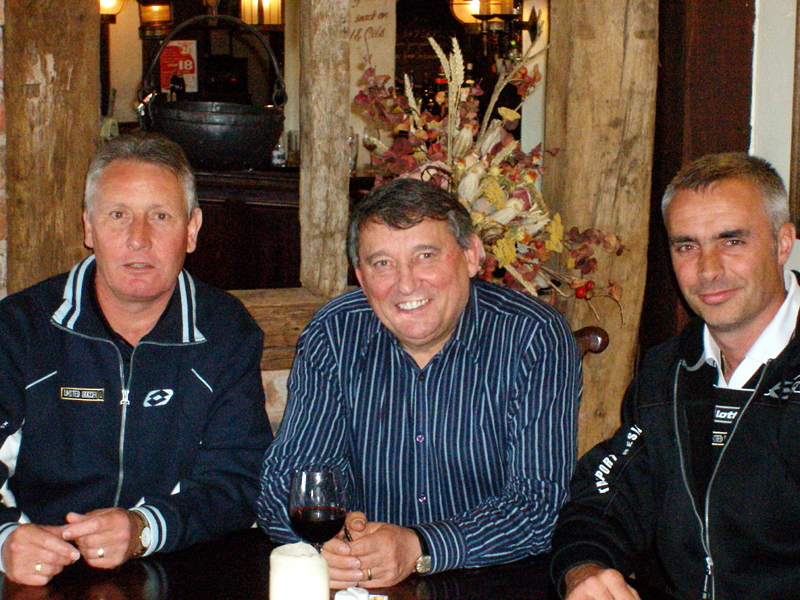 We caught up with Graham Taylor, who had had a great influence on both of us. “Matt Murray looked after us at the Swansea game with a trip around the dressing room area after the match. Remembering it was 39 years ago that I signed on, I obviously found the ground so different and all for the better! Posted on: Saturday, April 30th, 2011.